If you need any assistance applying for jobs, writing resumes, navigating Google accounts, or learning more about your smartphone and/or computer please feel free to stop by the ICL Maker Space Lab on Thursdays from 10 am - 11 am, OR, 5 pm - 6 pm that same day. No advanced registration is required - and if Thursdays do not work for your schedule, please feel free to call the library and set up a personal appointment! Elementary kids are invited to join us for Kidz Klub! 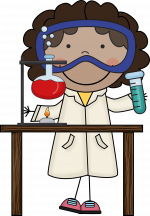 Science experiments, games, art, snacks, and exploring are just a few of the things you can expect to experience in Kidz Klub. 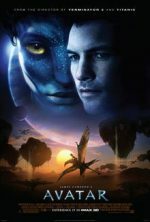 April 18, 2019, 4:30 pm: Film Showing of "Avatar"
In honor of Earth Day, the ICL would like to present the blockbuster hit, Avatar. Free snacks and refreshments will be provided. We hope to see you there! Have you ever wanted to learn how to meditate and cultivate more mindfulness in your everyday life? Or, if you are already experienced in either area, would you enjoy having a pre-set time and place to come and fine-tune your practices with others? 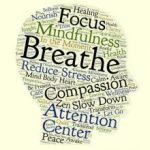 Stop by the ICL every Thursday evening in the month of April from 5:30 pm - 6:15 pm for a chance to breathe and relax during National Stress Awareness Month! No advanced registration is required, and no mats/other materials will be necessary. Water and snacks will be provided. We hope to see you there! The library will open at 10 AM. Join our open art class to explore your creativity in a friendly environment every Friday at 10 AM. 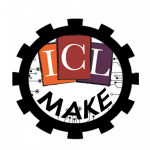 Join us for a fun and creative activity in ICL’s Maker Space every Saturday at 11 AM. C'mon down to the ICL to make your ideas come to form. We have equipment to make slide images digital and VHS tape to digital. 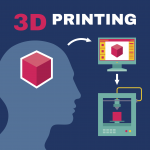 Not to mention, we have a 3D printer, information on patents, and much MORE! Join our friendly group of writers the 1st and 3rd Sunday at 2:00. The Ignacio Community Library is a center that brings people and ideas together for learning and personal growth.